With Passover shortly upon us, it’s easy to hold a seder where all guests — with and without disabilities — feel welcomed, respected, and have fun. However, with all the sitting still and prayers, holidays can be somewhat challenging for people with ADHD. Moreover, at Passover, children with learning disabilities generally do not want to be called on to read the part of the “Simple Child." But Moses had a speech disability — and he is our role model and hero! So all it takes is some planning. Thus, here are some tips to ensure your gatherings are inclusive, thoughtful, and welcoming to all. 1.) Don’t be afraid to include guests with disabilities. People with disabilities have their disabilities 24/7, so they know how to create work-arounds so that they feel comfortable. If you know someone has a disability, use a simple strategy — ask the person what they need to feel fully included. All too often, people with disabilities are not invited to events or don’t go because they feel embarrassed to “put someone out” by asking for a simple thing that will help them attend. By telling them that their presence is valued, and asking what they need, you will build a new level of trust and affection. For example, one of the biggest things that aging loved ones need is a ride. So help them find a carpool or send an accessible taxi or UBER to pick them up and return them home. 2.) Have the right Haggadah: Planning for reading, cognitive access and vision Issues. Children and adults with cognitive or learning disabilities or vision impairments might not be able to read the Hagaddah or instructions for a scavenger hunt for the afikomen without support. Pictures and verbal instructions are useful, as well as pairing children and adults with disabilities with those who can help. It’s always great to have an extra pair of reading glasses around if you are inviting older adults. But you can always tell someone who can’t see or read what they will need or what to know. I am a big fan of the Passover Haggadah created by Gateways. The Gateways Haggadah utilizes over 150 picture communication symbols developed by Mayer-Johnson™, the leading creator of symbol-adapted special education materials that assist individuals in overcoming speech, language, and learning challenges. 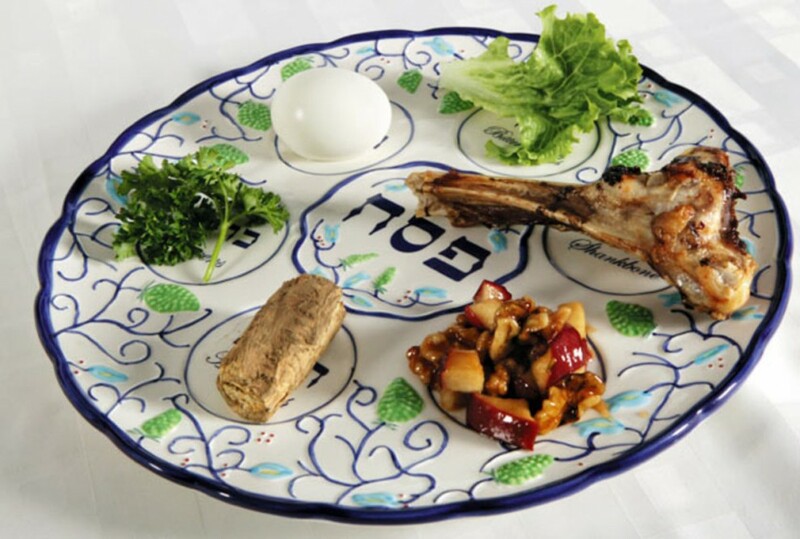 The Haggadah also includes step-by-step photographs that illustrate what to do throughout the seder. There is even a free online guide to using this Haggadah. 3.) The RSVP. Not all disabilities are visible, so you may not know that someone you want to include in your event has some special needs. By including a line about accommodations in the invitation’s RSVP, you are already letting guests know that everyone is welcome. If it’s a party for children, parents can tell you, right off the bat, what their child’s needs might be to attend the party. They will be happy you asked! “We want everyone to have fun — please let us know if you have dietary restrictions or require other special accommodations to attend! We will do our best to meet special needs.” Note that you aren’t promising to meet all needs — if you can’t find a sign language interpreter at the last minute or there is another issue, for example, you will be able to let your guest know in advance. Indeed, they may be able to help you find a solution! 4.) Special diets. Anyone can have allergies, celiac disease, or lactose intolerance, but you won’t know unless you ask on the invitation RSVP. Making sure there is an option for cake, snacks, treats, and other food for these guests can be as simple as picking up a gluten free matzah (yes — it really exists!). It is thoughtful to have refreshments that everyone can enjoy. 5.) Addressing attitude. Kids and adults can be daunted when encountering someone who is different from them. If it’s a children’s event, you can talk to the group at the start of the party about kindness and respect for each other and each other’s differences. A holiday gathering is a great opportunity for kids to learn about one another. 6.) Involving parents. Holiday dinners and events can be exhausting for the hosts. Asking a parent or two to volunteer to help, particularly if it’s a big group, can lighten the load for the hosts. Parents may feel more comfortable, especially if their child has social anxiety issues, if they are invited to stay or help as an option. 7.) Sensory overload awareness. Parties can cause sensory overload for any child or adult, but for a person with autism or a sensory processing disorder, a party can be really overwhelming. Offer opportunities for guests to take a break, perhaps in a quiet room away from the crowd. 8.) Physical access. Most public places are accessible. However, because religious institutions are exempted from the Americans with Disabilities Act (ADA), many of them are not fully accessible. Also, private homes usually have stairs at their entrances. So, if you have a wheelchair user who you want to invite, you may want to create a temporary ramp, or move the venue to a private room at an accessible synagogue or community center. Venues should have a ground level entrance or ramp, an elevator if it’s upstairs, and accessible bathrooms. Most public places (hotels, restaurants, etc.) are usually equipped for people with disabilities. Just check at the venue ahead of time. 9.) Communication. If a guest attending the party is non-verbal or communicates in other ways, such as American Sign Language or a communication board, talk about it with the guests. Having an interpreter can be worth the cost, as all the people can communicate and maybe learn a little sign language! Remember to speak directly to a child or adult whether he/she is verbal or not. 10.) Enjoy the holidays! Don’t let inclusion stress you out. If you are reading this list and considering these tips, you’re already doing more than most! Stay positive, smile, and have a wonderful Passover! Jennifer Laszlo Mizrahi is the President of www.RespectAbility.org, a non profit organization fighting stigmas and advancing opportunities for people with disabilities.